From the land of fairies, King Arthur and Pwyll Wales has some of the worlds most fascinating. Explore one of the last Celtic lands where fairies still dominate the fairy tales. Russia is the land where Asian and European fairy tales merge making their stories especially fantastic. Some of the greates stories about fairies are contained in the songs, ballads, poems, and hymns dedicated to them. From the sagas and verses passed down for thousands of years to new works discover the song of the fairy. Europe's last pagan faith exists in the Mari-El Province of Russia. These are their Fairy Tales translated into English for the first time. Gain a better understanding of how fairy tales are interpreted. 1-Fairies have been used for generations to pass on meaning and purpose. From the fairies of Peter Pan the nymphs of the Odyssey. 2-The original tales of fairies and fairy like creatures provided a lot of depth. 3-Fairies were believed in ancient times to control human fate and the natural world. Why Fairy Tales for Children? 1-Fairy Tale stories are Fantastic Journals. 2-Fairy Tales are a passing of culture. 3- Fairy tales were passed down from person to person for generations because they were the best stories. 4-Fairy tales often had the purpose of passing on social and moral growth. 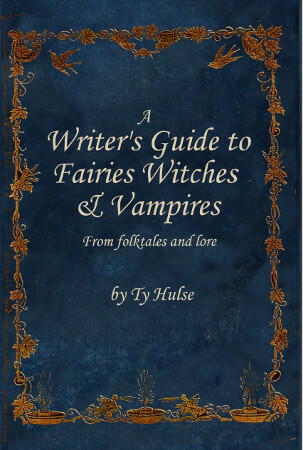 A Writer's Guide to Fairies, Witches, and Vampires uses folklore and belief to explore the backgrounds, motivations, and personality traits people most commonly believed that fairies had. This book will provide you with tools to understand the fairies in that encyclopedia of fairies with short entries or the fairytales you love.